An upper air cyclonic circulation lies over South Madhya Maharashtra and adjoining North Interior Karnataka. A trough is seen extending from this system to coastal parts of Kerala and Tamil Nadu. Due to these, light to moderate rain at some places is expected over Kerala and western parts of Tamil Nadu while Karnataka may receive light rain on Monday. Dry weather will prevail over rest of the region. 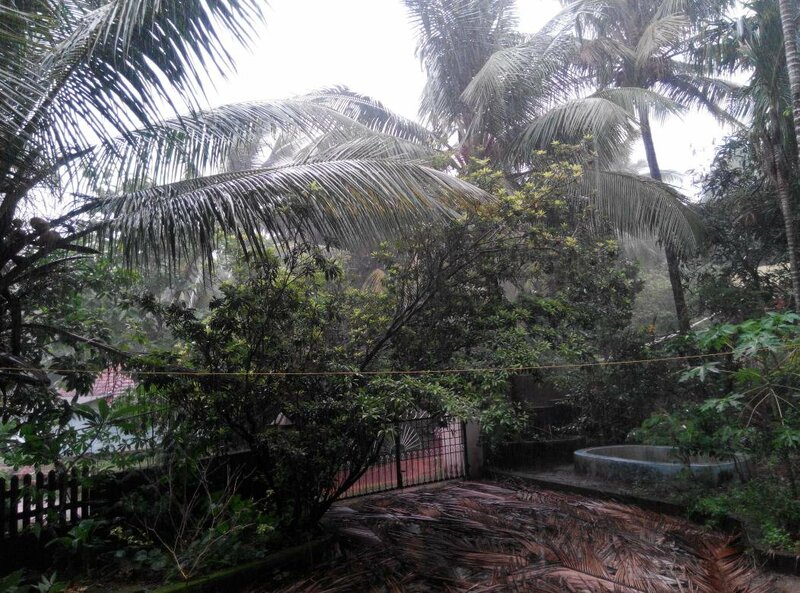 Good rain on Sunday Morning and Evening in Mangalore and Udupi districts brought down temperature.Puttur received highest rainfall of four cm in the state, while Subrhamanya got three cm rain.Several areas plunged into darkness as electricity supply was disrupted. Rain in Kodagu: Parts of Coorg districts like Bagamandala, Napoklu, Talacavery, Somwarpet recieved rains for around 1 hour on Sunday. Rain accompanied by gusty winds brought down a heavy trees in Kalaburagi district in the sunday afternoon. Thunderstorms reported from Bidar, Bhalki and Basavakalyan in Bidar district. Showers accompanied by winds, thunder and lightning were reported from Gajendragad in Gadag district. Many peoples and sheeps died after they were struck by lightnings in several districts of Karnataka on Sunday.